China’s president Xi Jinping has ordered a ‘thorough investigation into an illegal vaccine production case’ causing controversy in his country. Fifteen executives of the company responsible, Changchun-based Changsheng Bio-technology, have been arrested, according to media reports, while its employees were previously involved in several bribery cases. And in the same month, the EU and US have recalled heart medicines containing the active substance valsartan supplied by Zhejiang Huahai Pharmaceuticals, based in Linhai, due to contamination. Both cases show that China still faces manufacturing quality problems despite measures to clean up its act following its 2008 melamine baby milk contamination crisis. 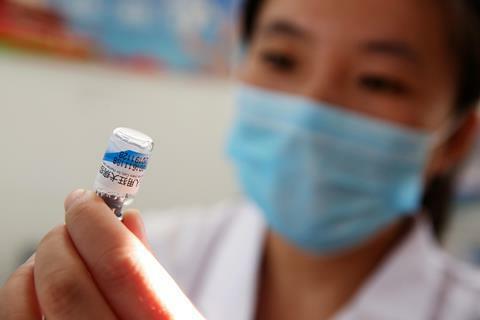 In early July a surprise inspection found evidence of forged data at Changsheng Bio-tech related to around 113,000 rabies vaccine doses. On 15 July, the State Drug Administration revoked the company’s Good Manufacturing Practice (GMP) certificate for medical products, halting production and forcing a recall. Authorities then detailed other surprise inspections, which had been conducted in November 2017. These earlier raids found that 665,000 batches of diphtheria, whooping cough and tetanus (DPT) vaccine from Changsheng Bio-tech and Wuhan Institute of Biological products failed Chinese standards. The country’s authorities said that the DPT vaccines, which are compulsory in China for babies as young as three months, were ineffective, but not otherwise harmful. Court papers also show Changsheng Bio-technology had paid 164,000 yuan (£18,340) in bribes to the head of the Changling disease control centre since 2010, the South China Morning Post reports. On 18 July, the Jilin Food and Drug Administration fined Changsheng Bio-tech 3.4 million yuan over 252,600 of its DPT doses that didn’t meet Chinese drug standards. Yet this barely dents the 566 million yuan net profit the formerly state-owned company made in 2017. At this point the case became a national scandal, in part due to posts on social media platform WeChat accusing Changsheng Bio-tech’s executives of enriching themselves through faulty products. Condemnation from the country’s political leaders and arrests followed shortly afterwards. Elsewhere, Zhejiang Huahai Pharmaceuticals triggered action itself after reporting that it had detected an N-nitrosodimethylamine (NDMA) impurity in the valsartan active pharmaceutical ingredient (API) it supplies to other companies. NDMA, a probable human carcinogen, is thought to be present due to changes in the way the active substance was manufactured. On 5 July, the European Medicines Agency said that it was recalling medicines containing valsartan supplied by Zhejiang Huahai. The US Food and Drug Administration followed suit on 13 July, with the recall affecting products from Solco Healthcare, Teva Pharmaceutical Industries and Major Pharmaceuticals. This is not the first time Zhejiang Huahai’s products have attracted unwanted attention. In 2015 it was one of 11 companies who were refused licences to sell generic drugs in China due to inadequate or suspect clinical data following on-site inspections. These issues come after China announced new quality standards and tax incentives for pharma in April 2018. China also joined the International Council for Harmonisation (ICH) of Technical Requirements for Pharmaceuticals for Human Use in November 2017, which seeks to ensure consistent global standards. Yet traditionally there has been a lack of clear standards and guidelines from relevant government departments, such as the China Food and Drug Administration, Saleh says. ‘In recent years, more regulations have been put in place but the question of enforcement of these regulations remains a challenge,’ he explains. That combines with a highly fragmented pharmaceutical market with over 5000 API makers in China, of which around 500 are exporters. Many small manufacturers can’t afford to comply with regulations, Saleh adds, so some companies resort to ‘cutting corners’ to remain competitive.